Going to college means much more than living in dorms, learning to sort lights from darks when doing laundry, establishing friendships that last a lifetime, becoming dependent on sugar and caffeine to get you through finals week, and wondering what all this cramming and stress is for. It’s a time when every interaction with every person you meet may directly shape how you live out your life—whether you realize it or not. And yet, with more students attending college than ever before and university classroom sizes bulging with as many as 600 students enrolled in a single general education class, it is difficult to happen upon one-on-one interactions with positively influential people. It is expected that over 20.4 million students will enter college in fall 2016—an increase of 5.1 million students since 2000 (according to the National Center for Education Statistics). Under this scenario, finding critical mentorship to help navigate the tumultuous requirements of life and college can be absolutely overwhelming. Add being the first in your family to attend college, being a minority, coming from a low-income family, or being a re-entry student and the probability of graduating is significantly reduced. Even if you manage to graduate, do you have the soft skills on top of the technical knowledge required to enter your career? How can you start an “entry level” position that requires 2+ years of experience when you are fresh out of college and up against applicants with more than enough education and experience? How can you overcome these hurdles that are growing daily as the job market remains tight? 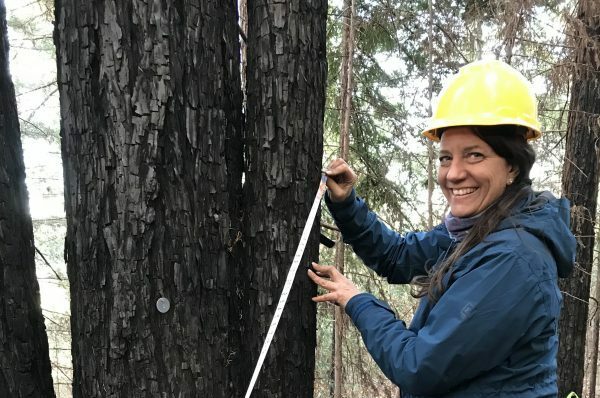 These challenges are why Pepperwood has partnered with the Santa Rosa Junior College (SRJC) on providing scholarship and internship opportunities for local students. We aim to provide the mentorship and experience foundational to launching careers, not just creating graduates. With small classroom sizes, dedicated faculty and staff, and college-transfer preparedness programs such as Math, Engineering, Science Achievement (MESA), the SRJC is a local resource that can have profound impacts on students in our community. 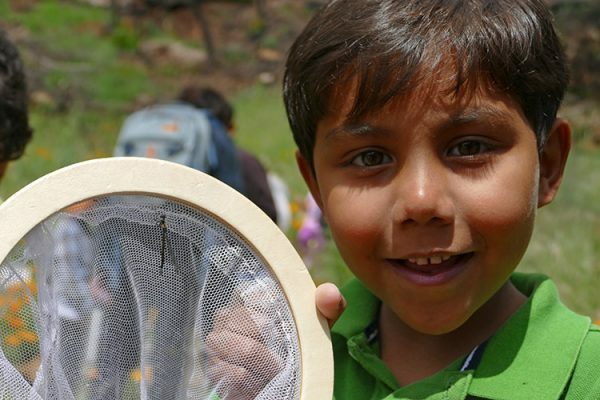 Combine this with local expertise in conservation biology and natural resource management at Pepperwood and there is a powerful opportunity to cultivate tomorrow’s scientists and environmental leaders. 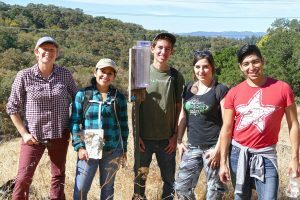 Starting in January 2016, we launched the SRJC MESA Conservation Biology Internship at Pepperwood and have just received the new cohort of interns for Fall 2016. Funding for three paid internships are provided by MESA and Pepperwood throughout the academic school year. 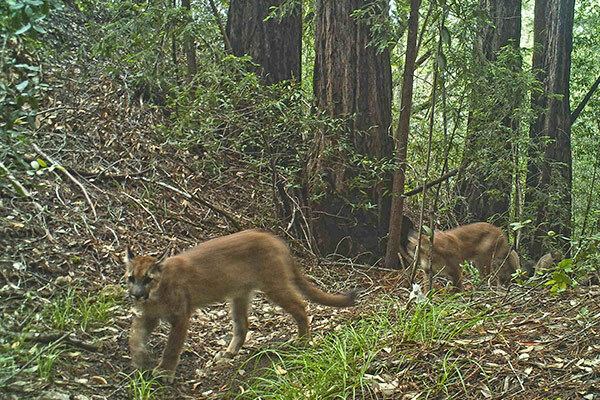 Interns assist with management of wildlife camera data, learn to identify local fauna, collect botanical and hydrological data in the field, sharpen their computer and communication skills, and are exposed to the inner workings of a scientific research and education facility. This is real resume and career building experience! As a native to Sonoma County, the first in my family to go to college and an SRJC alum, I personally have been shaped by my internships and experiences at the SRJC. Working with the SRJC MESA interns last spring brought up memories of biology labs spent pouring over specimens, days dedicated to studying intricate biochemical pathway diagrams, and finding myself engaged in motivating conversations with my professors. 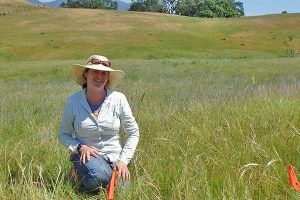 These experiences directly led me to where I sit today as a professional ecologist protecting Sonoma County’s natural resources and biodiversity.